Responsible printer disposal is very important, not only for our environment, but also for our health. Do you know how to dispose of a printer properly and responsibly? If you happen to be the owner of a printer that is no longer working and is not worth repairing, you may be wondering how to dispose of an old printer properly. These days, it is not only irresponsible to simply throw out an old printer or other electronic device, in some places, it’s actually illegal. If you have a printer that is just setting around and collecting dust, there are ways for you to dispose of it properly. If you are unsure how to dispose of a printer that is either broken or no longer functional, some of your best options are actually as close as your nearest electronics store. There are numerous places you can take your old printer to in order to dispose of it in a responsible way. And, a lot of these places actually harvest your old, used printers for the parts that are recyclable. That’s good news for everyone who is environmentally conscious. Here’s how to dispose of old printers that you no can longer use by taking it to your local electronics retailer. Best Buy is a good place to take your old printers for proper disposal. They will take your electronic devices for free and they will strip them down for their recyclable parts. It does not matter where your printer was originally purchased. 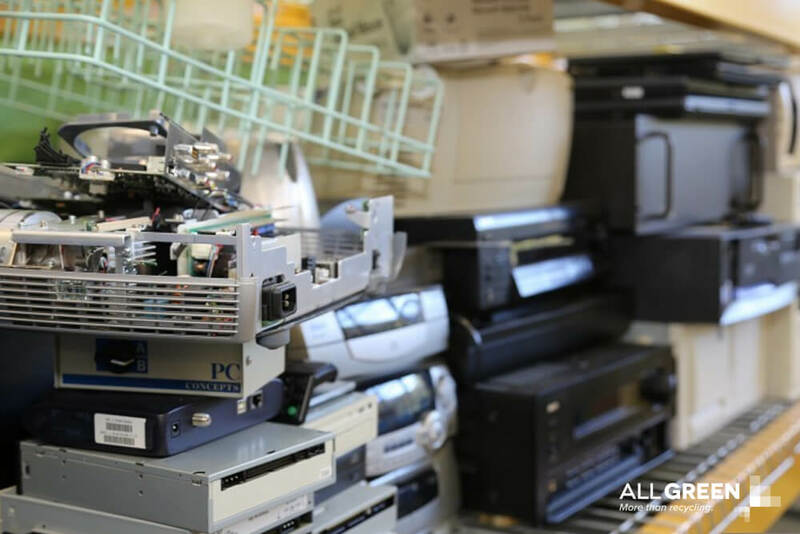 Additionally, your neighborhood Best Buy is also a place where you can dispose of your other damaged and/or otherwise obsolete electronic gadgets, such as computers, PDAs, cellular phones, TVs, projectors and monitors. Similar to Best Buy, Office Max also provides their customers with a pretty convenient electronics recycling program. They will also take your old, used printers free of charge, no matter where they were purchased originally. Office Depot provides a unique electronics recycling program to its customers. Unlike Best Buy and Office Max, Office Depot’s program is not free. Its Tech Recycling Service requires customers to buy this special shipping box from the closest Office Depot store. The price of the box varies depending on its size. However, if you are truly interested in recycling your printer, you will most probably need to buy the biggest box. After your box has been packed up and sealed, you then return it to Office Depot, and they will have it shipped to one of their company recycling facilities. Where to take old computers and printers? If you’re still wondering how to dispose of old printers responsibly, you can always visit your local recycling center. If your local center accepts electronic waste, your printer will most likely be an acceptable item. If you’re not sure whether your local recycling center takes e-waste, you can either visit their website or call them on the phone. If they don’t accept, they will likely be able to direct you to one that does. Now that you know how to dispose of a printer properly and responsibly, you can now do your part in helping to reduce the world’s e-waste.